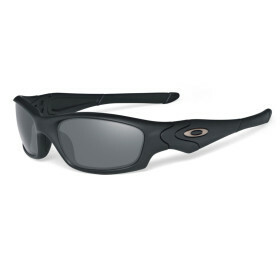 Oakley SI Straight Jacket (Matte Blk/Grey) » Protective Solutions, Inc.
Protection meets ANSI Z87.1 standards for both high-velocity and high-mass impact. The durable, lightweight O MATTER® frame utilizes soft UNOBTAINIUM® components to increase grip with perspiration. It’s all part of a Three- Point Fit that holds the lenses in precise optical alignment and offers all-day comfort.